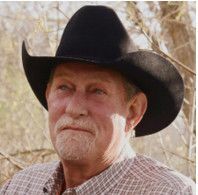 Gary Clay is a leader in the horse industry with over 40 years experience as a trainer, judge, appraiser and expert witness. He provides many litigation services. He is an internationally recognized horse/equestrian expert, technical advisor, legal consultant, equine appraiser and safety expert. Gary carries the highest rating known as a Large “R” with the United States Equestrian Federation and has judged various National Championships and Shows in the United States, Canada and Mexico. Mr. Clay has trained horses and riders who have won a combined 50+ National titles and 100’s of top ten titles. He has a network of professionals throughout the United States with whom he consults with and does extensive research. His well-written opinions often lead to the case being won and trial is often avoided. Equine Physiology; Expert Testimony; Stable Management; Horse Care Education. Gary was the founder and head trainer of Del Camino Equestrian Academy in Scottsdale, Arizona with over 150 full time students who competed on the Local, Regional and National levels. Gary has trained National showmen who compete currently. He has worked on the sets of movies such as “Far and Away” and the “Young Riders” television series. Gary takes pride in being specially trained by the "old masters" and has received instruction in classical dressage, jumping and western disciplines. Gary has lectured, coached and judged all over the world. He has exceptional knowledge, experience and expertise in the appraisal of horses; he has over 40 years experience in all areas of the equine industry. His education and skills make him a sought after appraiser. He provides a fair and unbiased value for his clients. You will feel assured of an accurate and proficient appraisal of your horses.